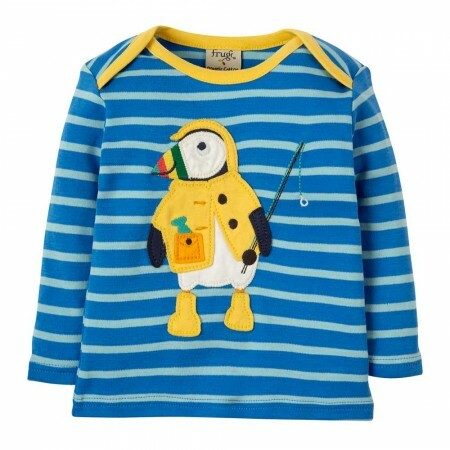 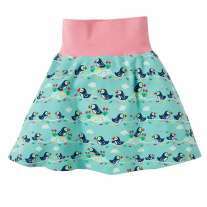 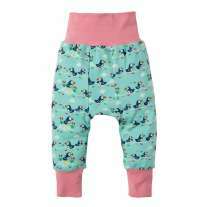 This Frugi Bobby Applique Top for babies and toddlers has blue stripes, a super applique of a puffin fisherman and a yellow trim. 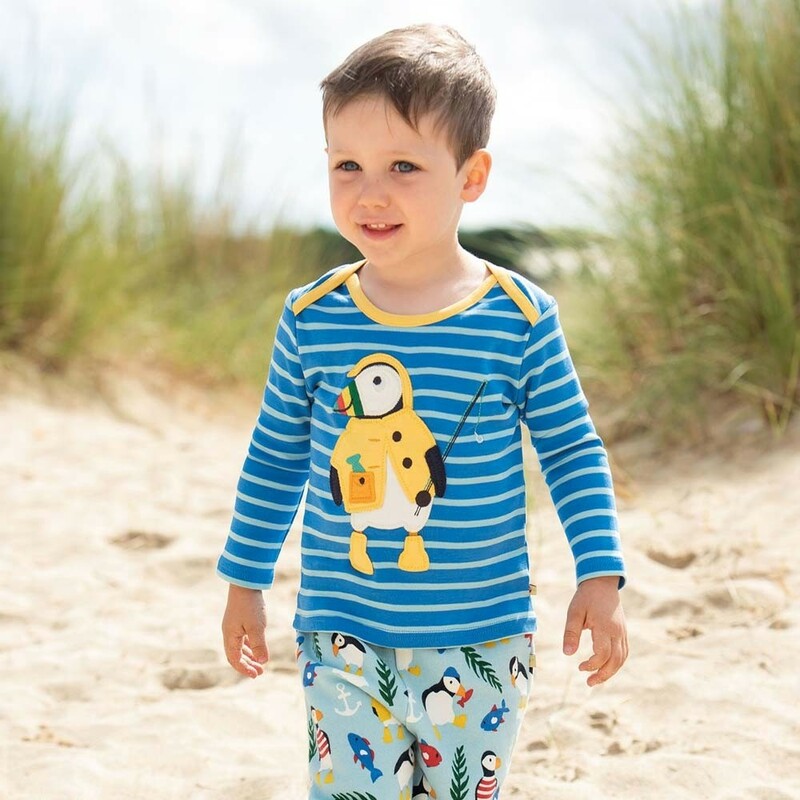 Getting undressed is easy with an envelope neck and yellow trim - it just pulls straight down instead of having to go over your child's head. 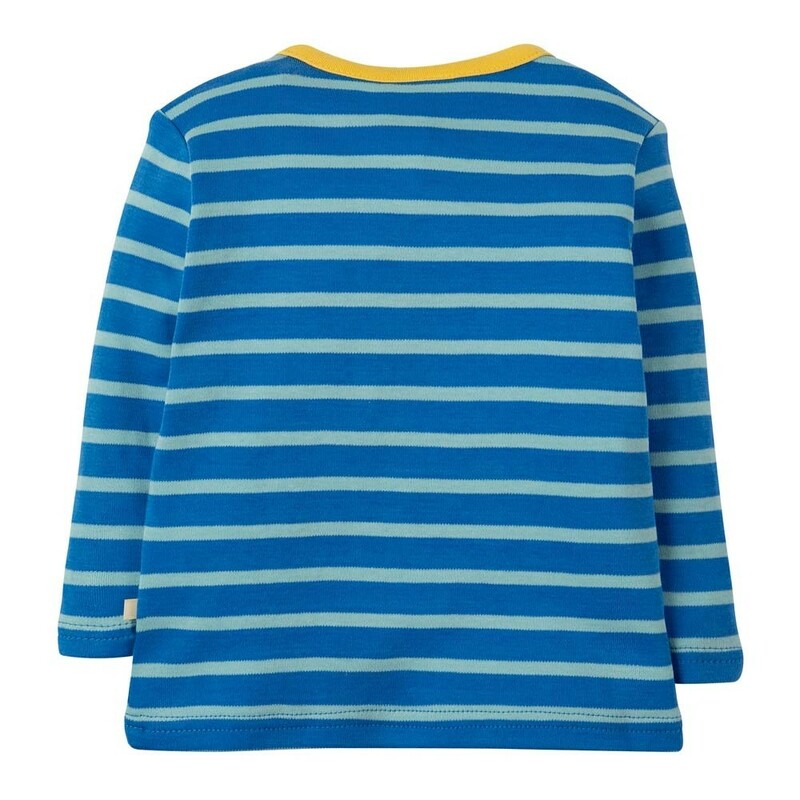 This organic cotton top is soft, kind on delicate skin and eczema-friendly too. 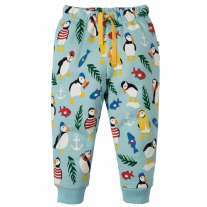 Team up with comfy bottoms for an eco outfit that's stylish too.